The Parkhouse Air-Layer Advance combines the benefits of a visco-elastic mattress with the latest air layer technology. Reduces heat and vapour transfer rates by up tp 25%. Suitable for users considered to be at Very High Risk of pressure sore development. The Air-Layer Advance is a very high risk mattress that combines the benefits of visco-elastic foam with the latest air layer technology, to deliver optimum pressure reduction and exceptional patient comfort. The unique air layer surface helps to improve the micro-climate between the patient and the support surface by reducing heat and vapour transfer rates by up to 25%. The Air-Layer Advance Mattress is fully encased in an advanced outer cover material constructed of a dense interlock knit polyurethane fabric with high frequency welded seams. These features combine to provide improved durability and an effective barrier to fluid ingress. 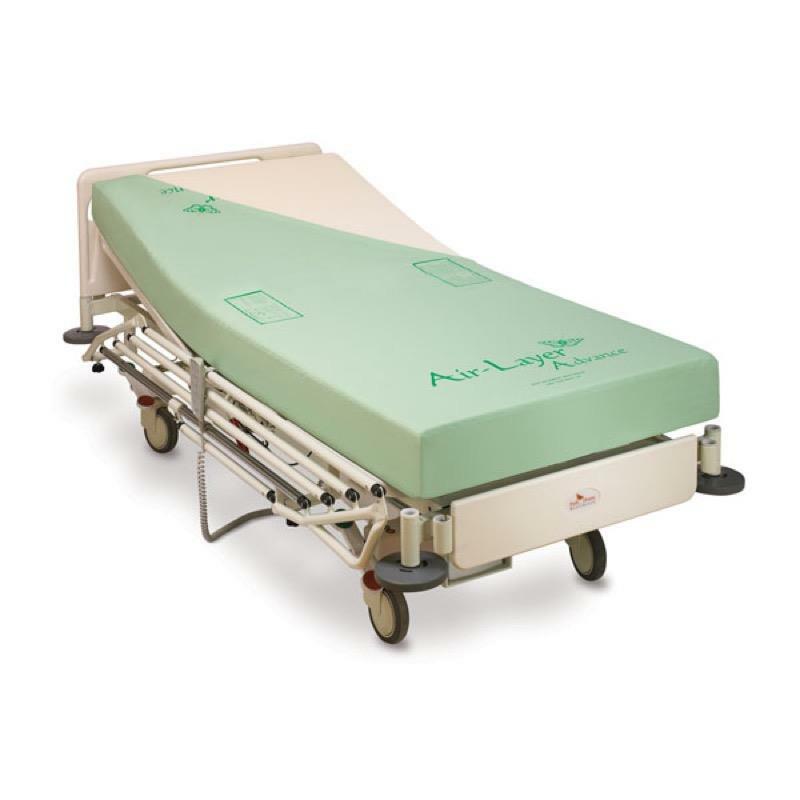 The visco-elastic foam conforms to the body, helping to reduce pressure around the most vulnerable bony prominences and the smooth multi-stretch cover allows the patient to glide over the surface of the mattress. and an effective barrier to fluid ingress.